Wondering if a Capital City Bank business credit card is right for you? Let us walk you through the bank’s four business credit cards, plus the top alternatives to each card. Capital City Bank may not be a household name, but their business credit cards offer competitive features and perks. Even if you have a business bank account elsewhere, you might want to take a look at the Capital City Bank business credit cards. The bank’s four business credit cards include three rewards credit cards and one credit card with more basic features but with a longer introductory interest rate that could be appealing if you think you’ll need a little more flexibility in your first several months as a cardholder. To help you evaluate each of the four Capital City Bank business credit cards, we’ll walk you through alternative cards with comparable features. That way, you’ll know what else is on the market when it comes time to make your decision. First up on our review of the Capital City Bank business credit cards is the Visa® Business Real Rewards Card. With this card, you’ll earn 1.5 points for every dollar you spend on qualified purchases. There are no caps or limits on the points you can earn, and the bank compares this rewards rate to getting 1.5% cash back. After you make your first purchase as a cardholder, you’ll get a signup bonus of 2,500 points. 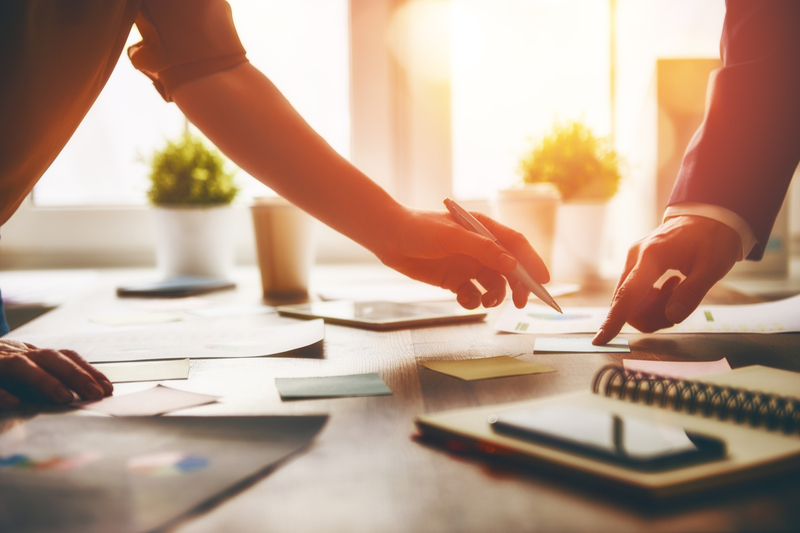 The card lets you separate business expenses, manage cash flow, and track spending, all of which should help you keep your business running smoothly. The Visa® Business Real Rewards Card doesn’t come with an annual fee. And the good news doesn’t stop there. As a cardholder, you’ll also have an introductory 0% APR on purchases and balance transfers for the first six billing cycles. After the introductory APR period ends, you’ll pay a variable APR that will depend on your creditworthiness and the market prime rate. Check the issuer’s terms and conditions for the latest APR information. An alternative to the Visa® Business Real Rewards Card from Capital City Bank is the Chase Ink Business Unlimited. The Chase Ink Business Unlimited card will give you 1.5% cash back on every purchase, with no monthly or annual limit. Both cards come with a rewards rate of 1.5%, though the Capital City Bank card handles rewards in points rather than cash back. There’s also no annual fee with the Chase Ink Business Unlimited. Like the Visa® Business Real Rewards Card, the Chase Ink Business Unlimited comes with a signup bonus. In the case of the Chase card, it’s a bonus of $500 if you spend $3,000 in your first three months as a cardholder. Also like the Visa® Business Real Rewards Card, the Chase Ink Business Unlimited comes with a 0% introductory APR offer, but the offer on the Chase card lasts 12 months, compared to the six-month offer on the Visa® Business Real Rewards Card from Capital City Bank. Of course, with both offers, once the introductory period ends you’ll pay a variable interest rate that will depend on your creditworthiness and the market prime rate. 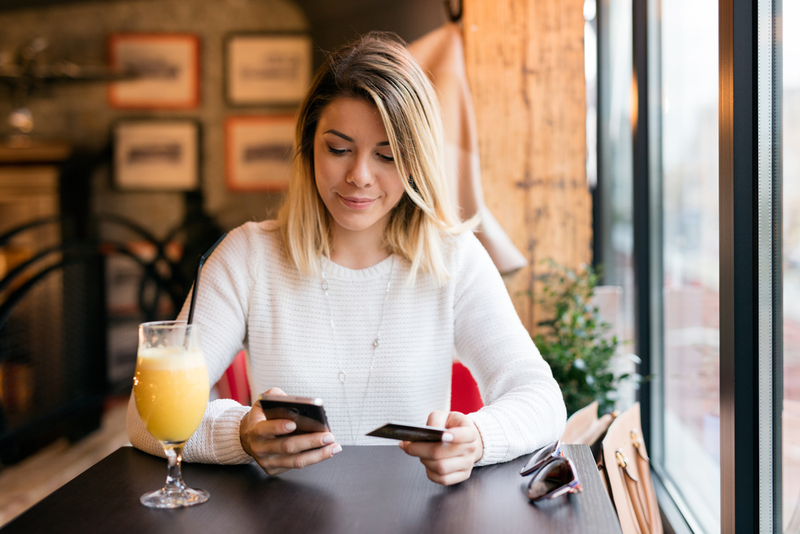 If you need a longer introductory APR, you might be better off with the Chase Ink Business Unlimited card than with the Visa® Business Real Rewards Card. The second Capital City Bank business credit card in our roundup is the Visa® Business Cash Card. 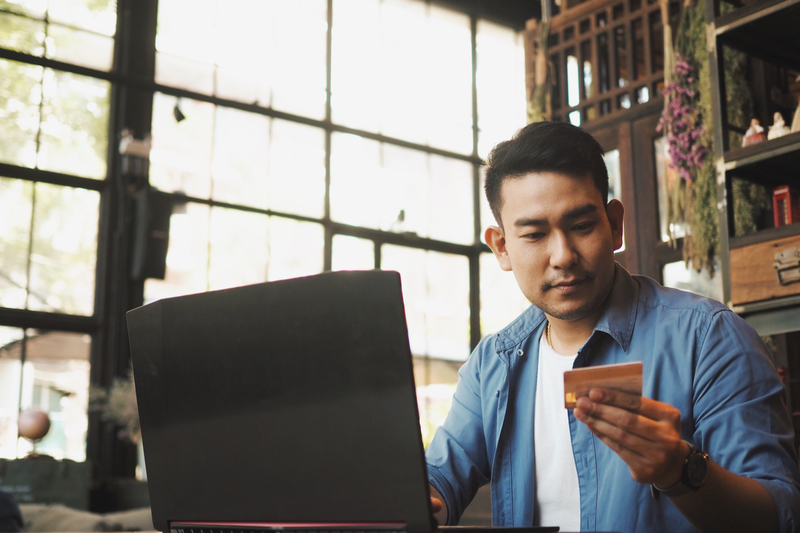 This card gives you 3% cash back on eligible purchases from business-friendly categories including office supply stores, and phone, internet, and cable TV services. Plus, you’ll earn 2% cash back on eligible restaurant and gas purchases, as well as 1% cash back on all other eligible net purchases. The signup bonus on the Visa® Business Cash Card won’t knock your socks off, however. With the Visa® Business Cash Card, you’ll earn a signup bonus of $25 after your first purchase. If you’re looking for a bigger signup bonus, you’re better off opting for an alternative card. Like the Visa® Business Real Rewards Card, the Visa® Business Cash Card has no annual fee and gives you an introductory 0% APR on purchases and balance transfers for your first six billing cycles. After that, your interest rate will be a variable rate that will depend on your creditworthiness and the market prime rate. We know these credit card names can get confusing—bear with us. If you’re intrigued by the Capital City Visa® Business Cash Card but you want to evaluate an alternative, we suggest you take a look at the Chase Ink Business Cash. The Chase Ink Business Cash will give you a higher signup bonus—$500 if you spend $3,000 in your first three months as a cardholder. Plus, the introductory 0% APR period on the Chase Ink Business Cash card lasts twice as long—12 months compared to the six months you’ll get with the Visa® Business Cash Card. Of course, once that introductory period ends you’ll pay a variable interest rate that will depend on your creditworthiness and the market prime rate. Remember to check the issuer’s terms and conditions for the latest APR info. The rewards categories on the Chase Ink Business Cash card work a little differently. You’ll earn 5% cash back on the first $25,000 you spend annually at office supply stores or on phone, internet, or cable TV services. You’ll earn 2% cash back on the first $25,000 you spend annually at gas stations and restaurants. Finally, you’ll earn 1% cash back on all other purchases. As you can see, the rewards rate and signup bonus are higher with the Chase Ink Business Cash card. Lastly, this Chase business credit card has no annual fee. The third Capital City Bank business credit card we’ll discuss in this review is the Visa® Business Card. This is the most bare-bones of the business credit card offerings from Capital City Bank in terms of rewards (there are none), but it offers a whopping 15 billing cycles interest-free on purchases and balance transfers. That 15-month 0% APR period could be great if you’re transferring balances from other cards and you need some time to pay them down, or if you have a lot of purchases to make but you’re unsure what your cash flow situation will be for the next year or so. At the end of the 15-month introductory period, your interest rate will jump to a variable rate that will depend on your creditworthiness and the market prime rate, though, so be sure to get your balances all paid down before that happens. There’s no annual fee for the Capital City Visa® Business Card. The AMEX Blue Business Plus card is another card that offers a generous 15 months at 0% APR on purchases and balance transfers. All you have to do for those 15 months is make at least the minimum payment on time. Once you do that, any balances you carry from month to month won’t accrue interest. Still, it’s best to put yourself on a schedule so that your balance will be paid down by the time the 15 months are up. Once that happens, your interest rate will be a variable rate determined by a combination of your creditworthiness and the market prime rate. Just like the Capital City Visa® Business Card, the AMEX Blue Business Plus card doesn’t have an annual fee. Unlike the Visa® Business Card, the AMEX Blue Business Plus card offers rewards on your spending. With the AMEX Blue Business Plus card you’ll earn 2x points for every dollar you spend annually up to $50,000. After that, you’ll earn one point per dollar spent. If you want a card that combines a generous introductory APR period with some rewards, the AMEX Blue Business Plus is a solid option. If you’re looking for a generous signup bonus, however, you’re better off looking elsewhere—the AMEX Blue Business Plus doesn’t offer one. The fourth and final business credit card from Capital City Bank is the Visa® Business Rewards PLUS card. With this card, you’ll earn 3x points for every dollar you spend in the category you spend most on: cellular phone services, hotels, or airline purchases. You’ll also earn 1.5x points for every dollar you spend on all other purchases. Looking for a signup bonus? You’re in luck. The Visa® Business Rewards PLUS card comes with 20,000 bonus rewards points when you spend $2,000 in your first three months as a cardholder. Those 20,000 points are redeemable for $200 in cash back, merchandise, gift cards, or travel savings. With the Visa® Business Rewards PLUS card, the first year you have the card is free. After that, an annual fee of $99 kicks in. There is no introductory 0% APR offer. A comparable card to the Visa® Business Rewards PLUS card is the Chase Ink Business Preferred. With the Chase Ink Business Preferred card, you’ll pay an annual fee of $95, with no free deal your first year. However, the rewards on the Chase card are generous. The card comes with a welcome offer of 80,000 points if you spend $5,000 in your first three months with the card. With a 25% redemption bonus on that welcome offer, your signup bonus will be worth up to $1,000 of free travel when you redeem through Chase Ultimate Rewards. How do the rewards on the Chase Ink Business Preferred compare to the rewards on the Visa® Business Rewards PLUS card? With the Chase card, you’ll earn 3x points for every dollar you spend on travel, shipping, advertising purchases made through search and social sites, as well as phone, internet, and cable TV services. That 3x rewards rate applies to your first $150,000 of eligible spending in a year. For all other purchases, you’ll earn one point per dollar spent. Again, like the Visa® Business Rewards PLUS card, there’s no 0% intro APR with the Chase Ink Business Preferred card. Which Capital City Bank Business Credit Card Is Right for You? Ready to make a decision about a business credit card? The card you choose will depend on the weight you give to various card features, including the rewards rate, the length of the 0% APR period, the signup bonus, and the annual fee. If you want the longest possible 0% APR offer, the Capital City Visa® Business Card is the winner. If you’re looking for the highest signup bonus, the Visa® Business Rewards PLUS card has you covered. As always, it’s important to consider your budget and spending habits when you’re choosing a credit card, and to consider alternative cards that offer comparable perks.